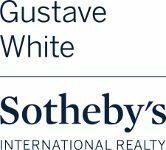 Gustave White Sotheby’s International Realty is proud to host an iconic Newport lifestyle guru in an exciting Instagram Takeover. Bettie Pardee is the embodiment of elegance and sophistication and educated in all things gorgeous. As an accomplished writer, Pardee has published serval books that span in topic from home and garden, to life in Newport, RI and entertaining those who call the “City by the Sea” home. Follow along as Gustave White Sotheby’s International Realty recounts some of Bettie Pardee’s most beautiful offerings.